This is Jordan, his brother and his friends (and me and Dave). "As most of you know my brother Tyler is and has been Type 1 Diabetic since he was 2 years old. He needs approximately 5 finger tests and 3 injections daily just to stay alive. Please give as much or as little as you can to support this cause. 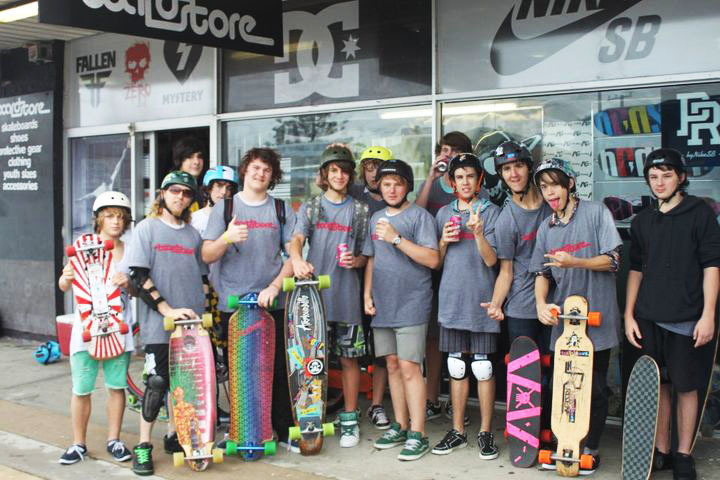 We gave them free team tshirts and they set off from our Caloundra store to skate to our Maroochydore store and back again, a total of 42kms in the rain which can make any long skate more tiresome and dangerous. Clarkson would definitely have called it a Very Wet lap. Some of them had not even been skating very long at all, I'm sure their calf muscles have really been giving it to them since! 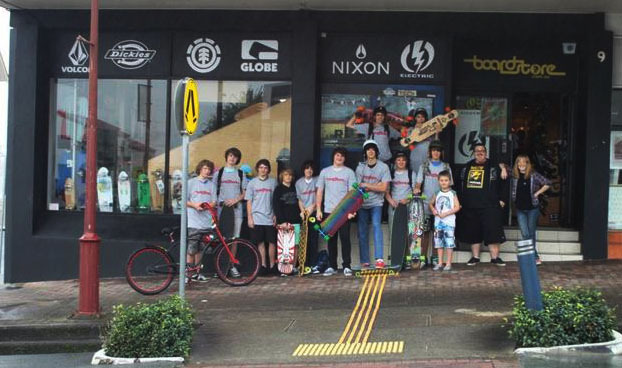 The attitude of these guys really touched me and I would love to encourage you guys to give them a big well done in the form of a donation towards their target of $3000. Arriving back at Caloundra "agh my thighs!" Finished! 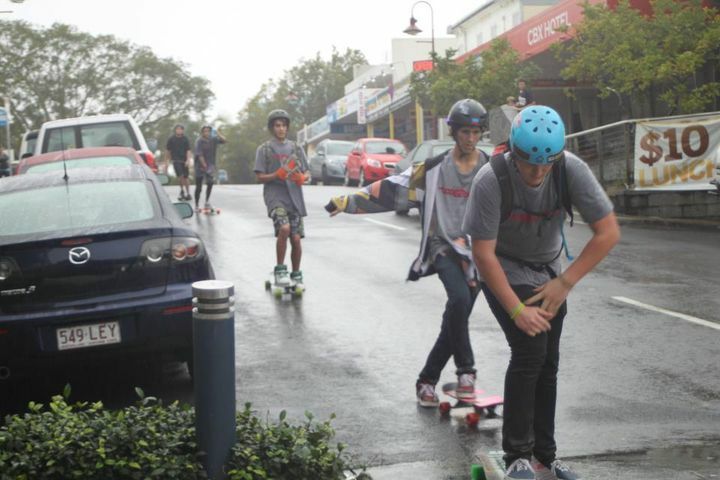 Tyler and Jordan stoked as. How did that dude on the right stay dry? !